While I am waiting to recover my iPhone 4S from a failed iOS 6.1 upgrade, we might as well read Apple's iOS 6.1 press release. iOS 6.1 is available as a free software update today. iOS 6.1 is compatible with iPhone 5, iPhone 4S, iPhone 4, iPhone 3GS, iPad (third and fourth generation), iPad mini, iPad 2 and iPod touch (fourth and fifth generation). Some features may not be available on all products. 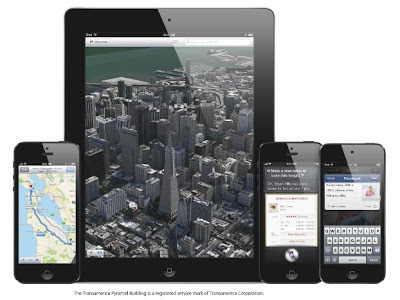 You can read the complete iOS 6.1 press release on the Apple PR website.